Distracted driving is a serious problem in the United States. Not only are distracted drivers more likely to cause accidents, but the crashes that they end up in also tend to be disproportionately severe. According to a study cited by the Washington Post, distracted driving is the primary factor in approximately ten percent of all fatal car accidents. In the modern world, there is probably a no worse distraction for drivers than their smartphone. Virginia has responded to this public safety issue by putting some strict cell phone laws and texting and driving laws into place. Increasingly, drivers are being caught up by these laws — even when they may not have actually been distracted while behind the wheel. As a Virginia traffic attorney, I am often asked questions about Virginia cell phone driving law and the state’s texting and driving laws. There is a lot of confusion out there over what exactly is allowed and what is prohibited. 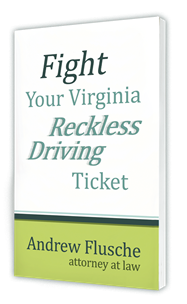 In this guide, I provide an overview of the most important things that Virginia drivers need to know about cell phone laws and texting and driving laws. Originally passed in 2009, major changes were made to the Virginia texting and driving law in 2013. Currently, Virginia has a ban on texting and driving. Under this law, texting while driving is a primary offense. You may have questions over exactly what this means. Here is what I can tell you: a police officer can pull you over for texting and driving without any other violations taking place. In other words, a Virginia police officer can pull you over because you are texting. Period. That is the only thing that the officer needs to see. Unfortunately, some people still do not realize this simple fact. That is understandable: the rules used to be different. Still, enforcement is only likely to become more strict going forward. If you are caught texting and driving, you can be pulled over and ticketed. Understanding the Cell Phone Laws: What is Prohibited? I have received this question or similar questions many times. 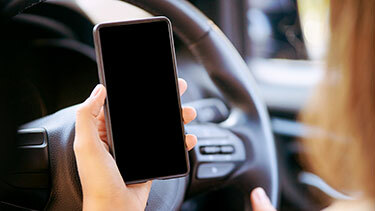 Drivers are not always clear on what type of conduct is banned by Virginia’s cell phone laws. Most people realize that they cannot send text messages while driving — but can you read a text? Can you read map directions? What are the limits of the law? What if you are at a red light? Here is what you need to know: Virginia’s texting and driving ban are fairly broad. You are prohibited from sending or reading a text message, an email, or any similar message while driving. This law applies whenever you are moving on a public road. However, there is an exception to the law if you are “lawfully parked or stopped.” The way I read that part of the law, you are legally allowed to check a text message if you are 100% stopped at a red light, for example. However, if you are in the habit checking your phone or texting when you stop briefly, you’ll likely be tempted to check your phone while moving – and you could end up getting a ticket for that. You currently (as of Jan 2019) can use your phone for GPS or music. The law does NOT prohibit you from using your phone to stream music or to read directions on a map app. In Virginia, a first-time offense for texting and driving is a $125 fine. After that, any subsequent offenses will be a $250 fine. While those fines are steep enough, in some limited cases, a driver could face additional punishment. As we have noted before, Virginia prosecutors filed reckless driving charges against a driver who was “probably” reading a text message when an accident occurred. Eventually, those charges were dismissed. Still, if Virginia police officers or prosecutors believe that person is creating a hazard while texting they could potentially face a reckless driving charge. Unfortunately, there are cases in which overzealous prosecutors may bring a reckless driving charge in a case where it is not truly appropriate. If you were charged with reckless driving for texting, please do not hesitate to contact my law office for immediate assistance. I Was Not Texting — What Can I Do? As with other traffic offenses, the burden of proof is on the Commonwealth. If a police officer in Fredericksburg incorrectly pulled you over for texting and driving, you should speak to an experienced Virginia traffic ticket defense lawyer before you pay the fine. You sent or read a text message or similar message while behind the wheel. If the state cannot do so, then the ticket must be dismissed. Please remember, police officers do not have the right to demand that you hand over your cell phone to see if you sent any messages. If a law enforcement officer asks for access to your cell phone during a traffic stop, you can and should say ‘NO’. In Virginia, drivers are still permitted to talk on a handheld cell phone. Though, this could change at some point in the near future. In March of 2018, the Virginia Senate voted in favor of a bill that would require all drivers to use ‘hands-free’ cell phones and devices when on public roads. Several weeks later, the Virginia House of Delegates declined to take up the measure. As the legislation did not make it to the finish line, the state’s 2013 law on texting and driving remains the most important cell phone regulation on the books. However, it is important to note that the Virginia House of Delegates did not vote down the general cell phone ban; they simply failed to reach a compromise with the Virginia Senate. It is possible, maybe even likely, that this bill, or a similar bill, will get attention again in the near future. As of 2019, Virginia drivers are not banned from using handheld cell phones — but they should be sure to check in on a yearly basis to make sure that no new regulations on the issue have been enacted. Drivers are required to use hands-free devices in more than a dozen states — including just across the border in Maryland and West Virginia. If you or your loved one was issued a ticket for texting while driving, please do not hesitate tocontact my law office for legal guidance. My law firm offers free, fully confidential consultations to drivers throughout Virginia. I will do my best to provide you with answers to your most pressing questions or to connect you with someone who can.